Adorable Hillcrest gem WITH GARAGE! Open living/dining rooms, hardwood floors, fireplace w/gas logs, fabulous deck overlooking .25 acre lot! 2 Bedrooms, 2 Baths, vinyl windows, pantry. New HVAC-2018. 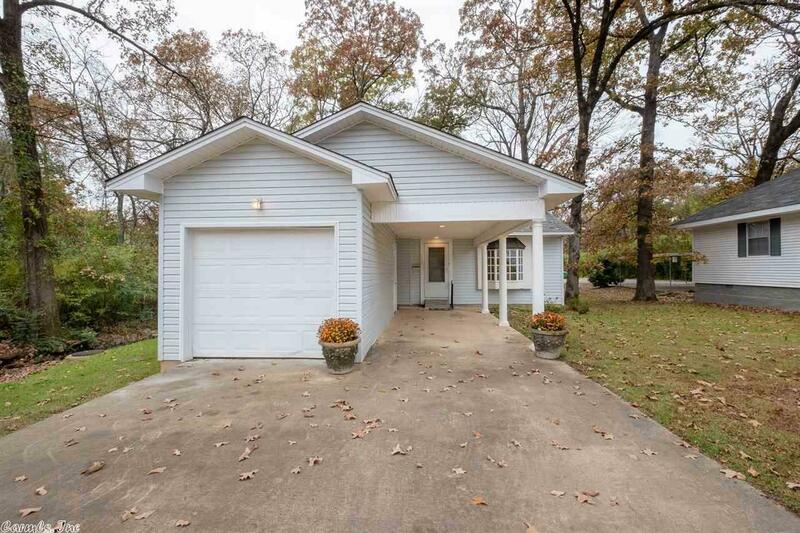 Easy walking distance to UAMS, Health Dept., shopping, restaurants, schools, churches, War Memorial Golf Course, Stadium & Jim Dailey Fitness/Aquatic Center! 1 car garage w/ auto opener PLUS 1 car carport + parking pad. Unique hand painted mural in living/dining ceiling. Possession immediately at closing.